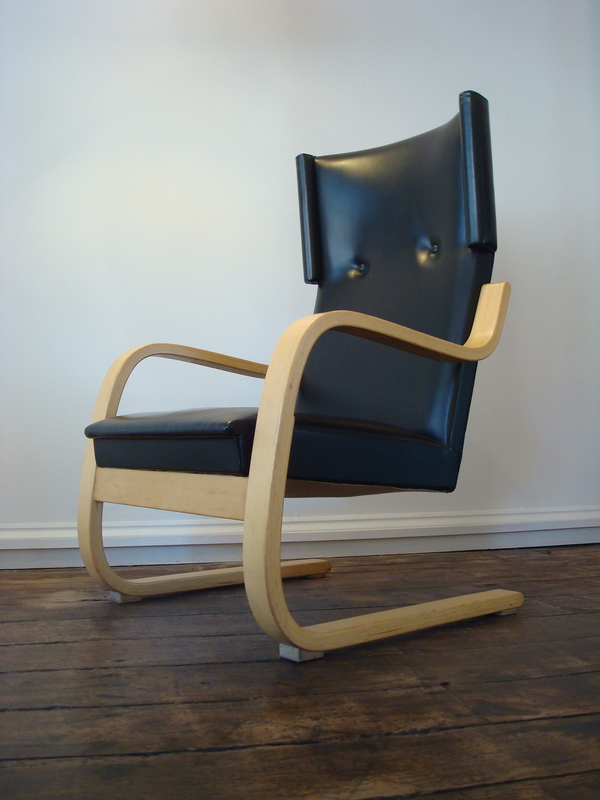 Originally designed in 1932, this stunning lounge chair designed by Alvar Aalto dates from the 1950’s. 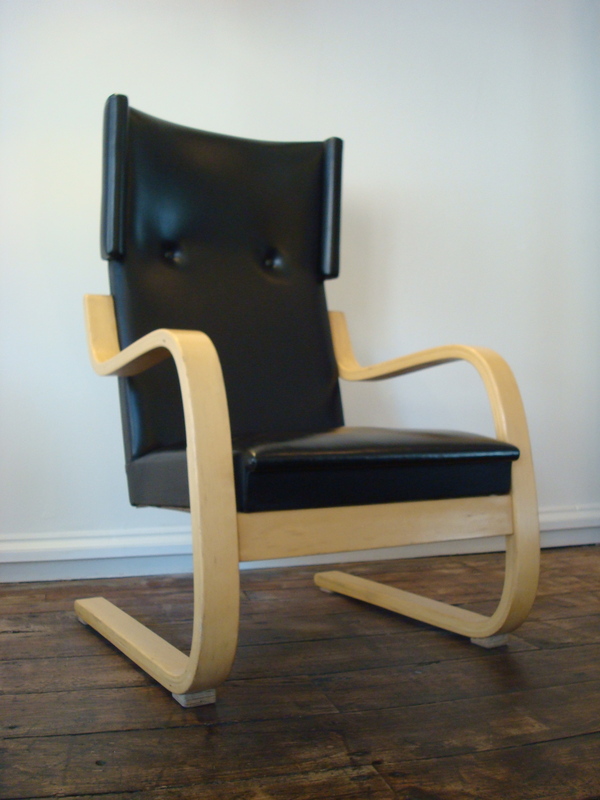 It is well documented in many images showing his finished architectural designs. 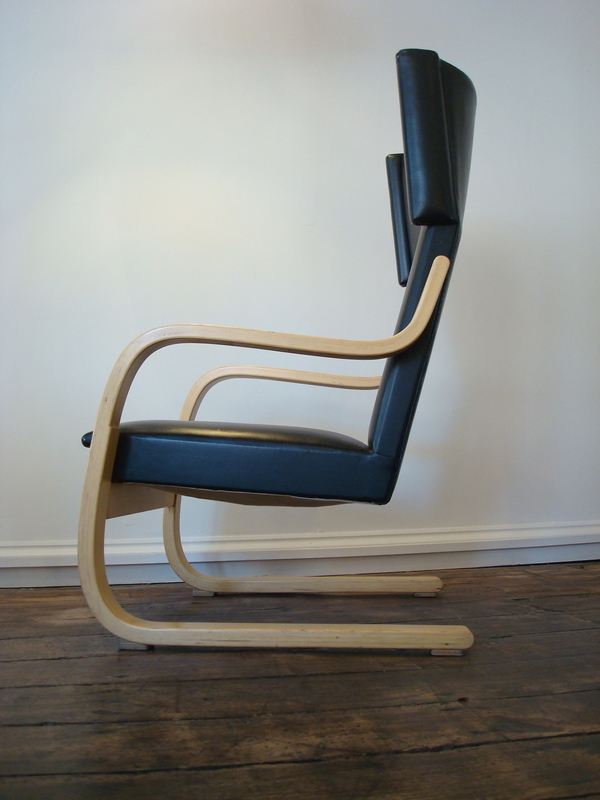 Steam bent Birch ply cantilevers and carries the upholstered seat; the high-back model was designed for comfort and relaxing, providing support for the back and neck. 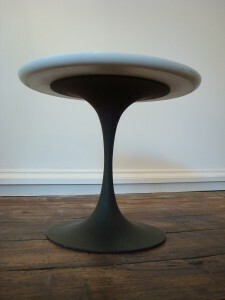 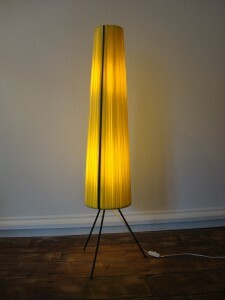 A fantastic example of mid-Century design. 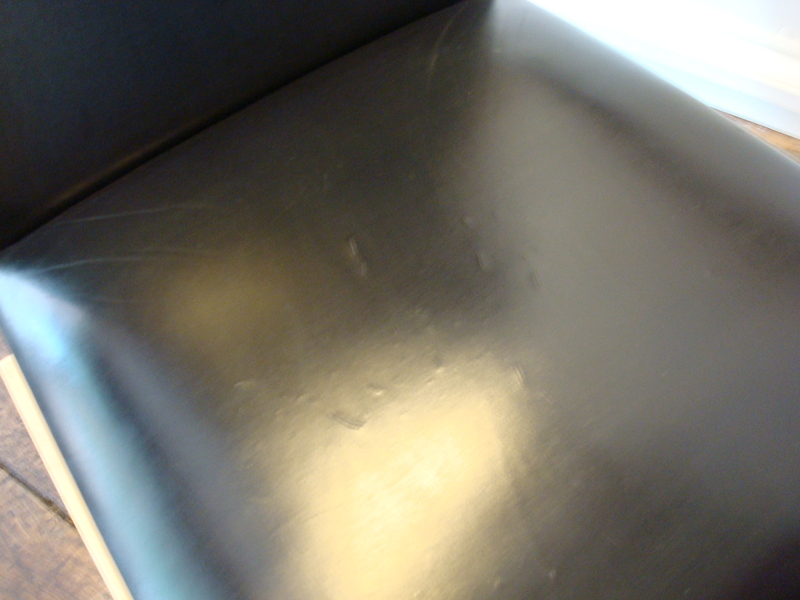 Historical and comfortable! 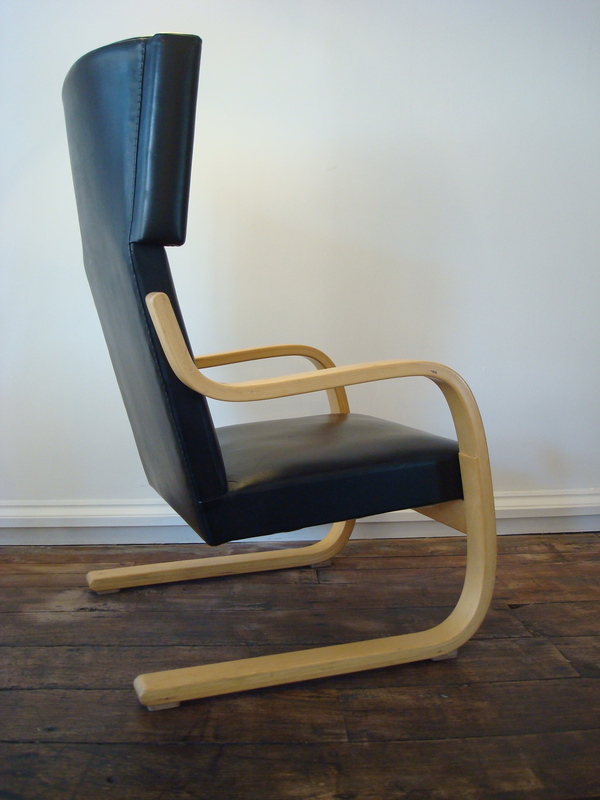 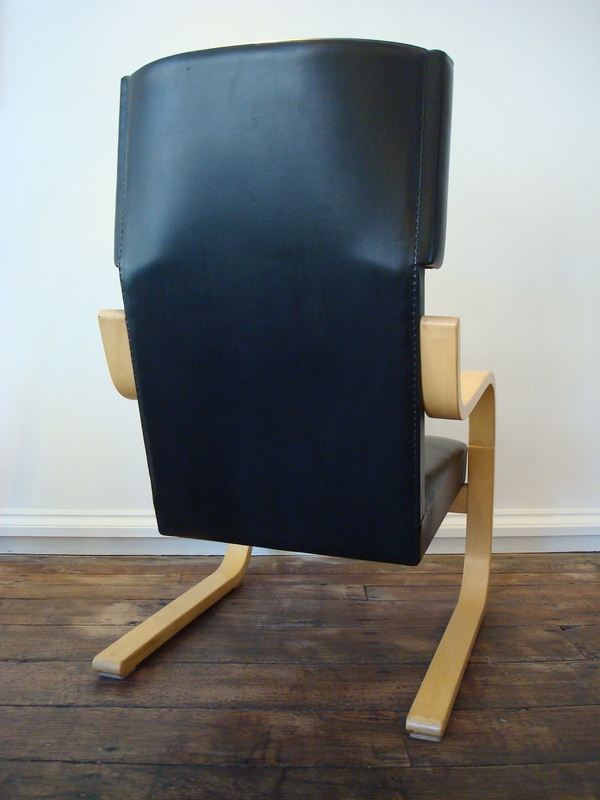 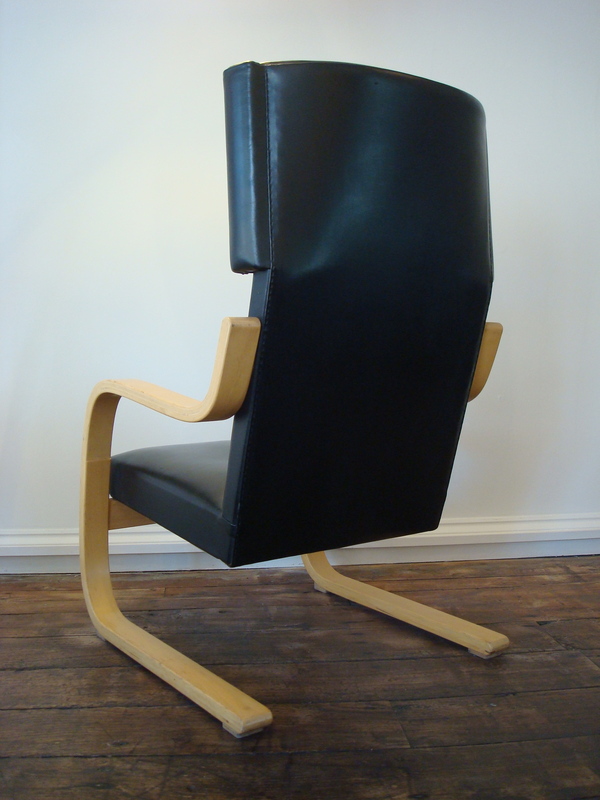 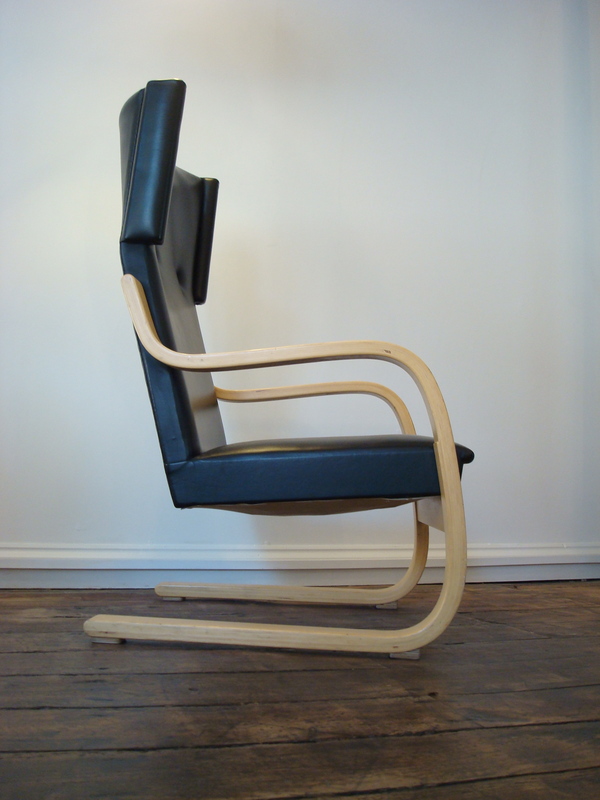 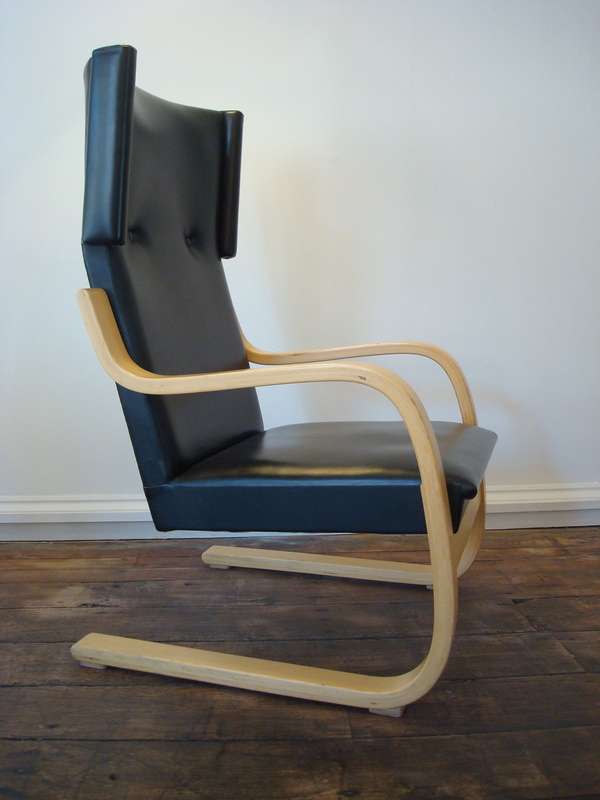 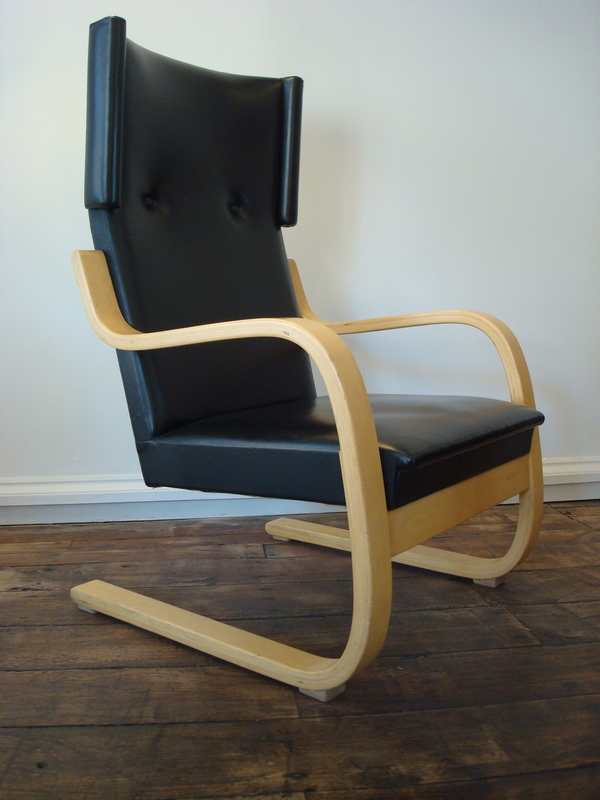 Tags: 1950's, Chair, Mid-Century, Model 401, Vintage, Alvar Aalto. 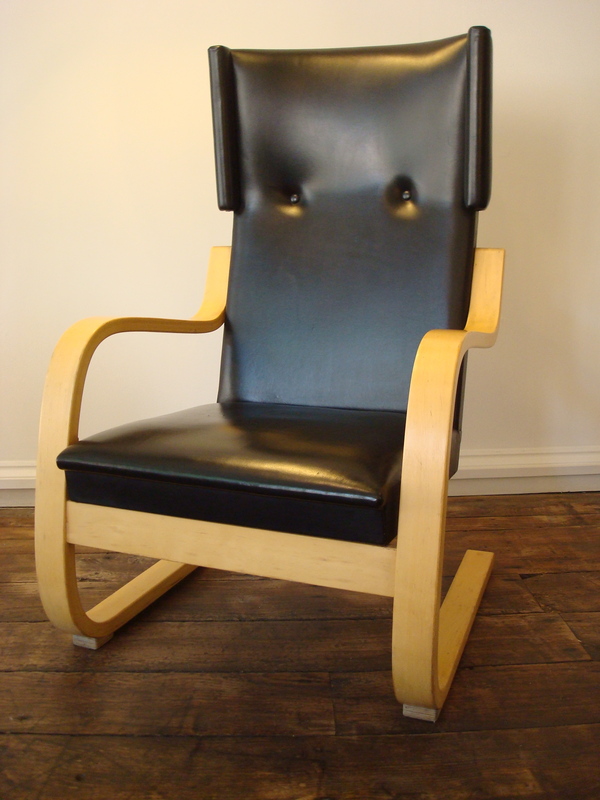 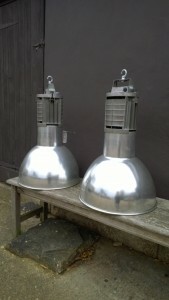 In good condition with a few marks commensurate with use and age – over 60 years’ old.